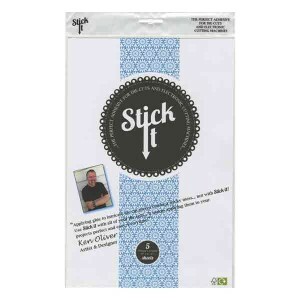 Stick It-Adhesive Sheets by Ken Oliver have been formulated for intricate die-cutting and use with electronic cutters. It is temporarily repositionable, but will become permanent over time. Apply to your paper or cardstock prior to cutting then simply peel backing off when you’re ready to apply to your project. Acid-free, water-based adhesive. 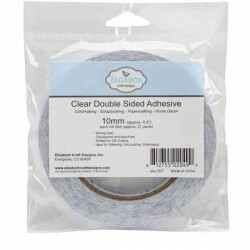 This package contains five 8×12-1/4 inch adhesive sheets. These sheets make quick work of sticking down intricate designs you have die cut.